Sure, we’d all love to be the kind of home cook who can whip up a perfectly roasted chicken with an hour’s notice. But let’s be real: Most nights, it’s just not going to happen. When life gets hectic, rotisserie chicken can be a lifesaver. 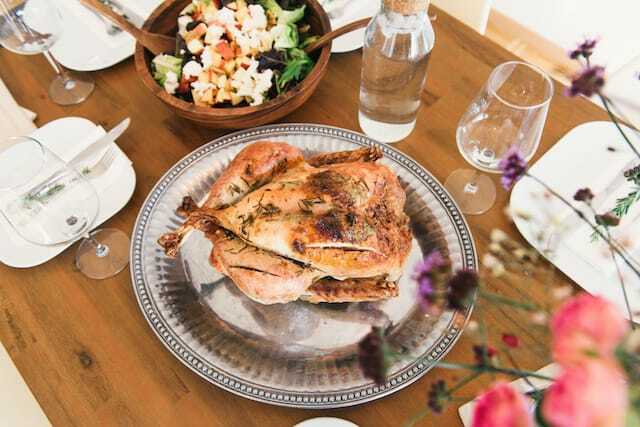 A store-bought bird will run you less than $10, and you can transform the cooked meat into countless quick, healthy, (mostly) homemade dinners. From pesto polenta bowls to enchilada hand pies, these 11 chicken recipes help you stretch your leftovers — and if you do wind up roasting your own bird, they’ll work just as well. Instant polenta is a great pantry staple for home cooks short on time — and cash. 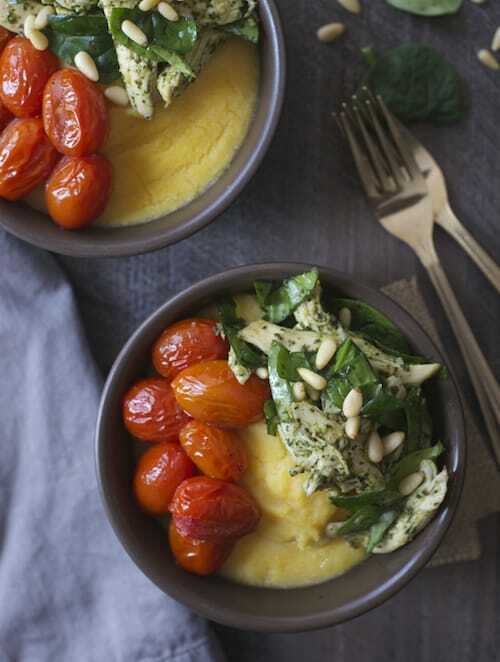 In this recipe, top bowls of cheesy polenta with shredded rotisserie chicken, spinach and basil pesto, as well as oven-roasted cherry tomatoes. 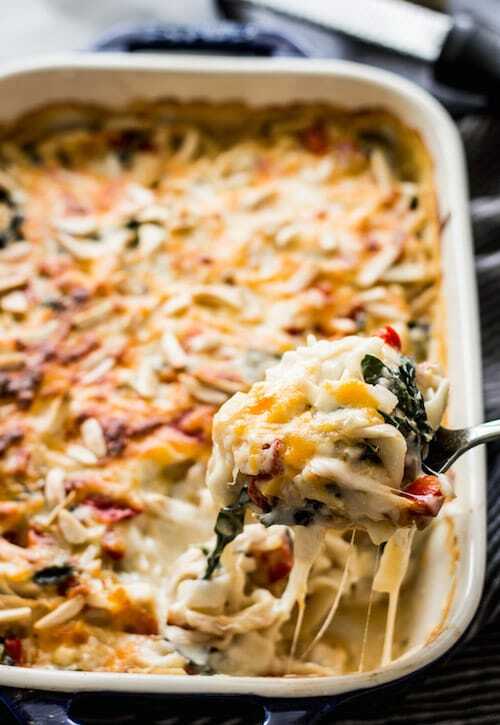 This rich, cheesy chicken tetrazzini is… incredibly healthy? It’s true! Tofu fettuccini replaces traditional pasta, and the filling is loaded with kale, leftover shredded chicken breast and only a modest amount of mozzarella. The secret to these five-ingredient stuffed peppers? Store-bought Alfredo sauce and leftover cooked chicken. 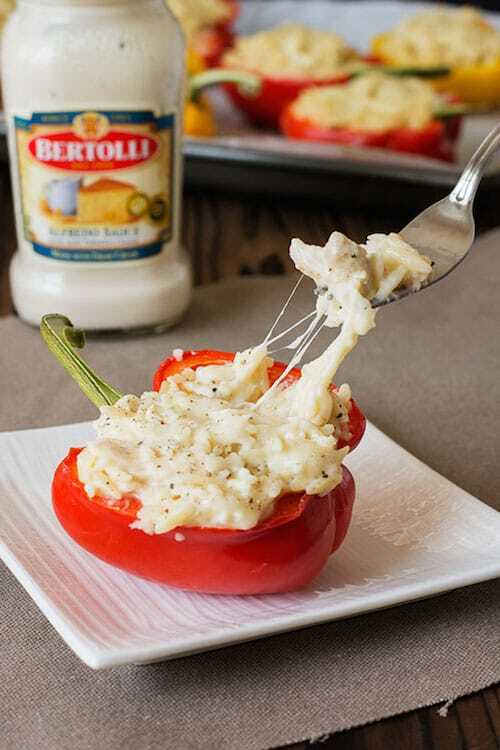 Just toss them together with orzo and cheese and bake to gooey perfection. The dish comes together in a mere 30 minutes, making this a perfect weeknight dinner. Everyone adores enchiladas, but they are a labor of love — all that frying, dipping, rolling and saucing. 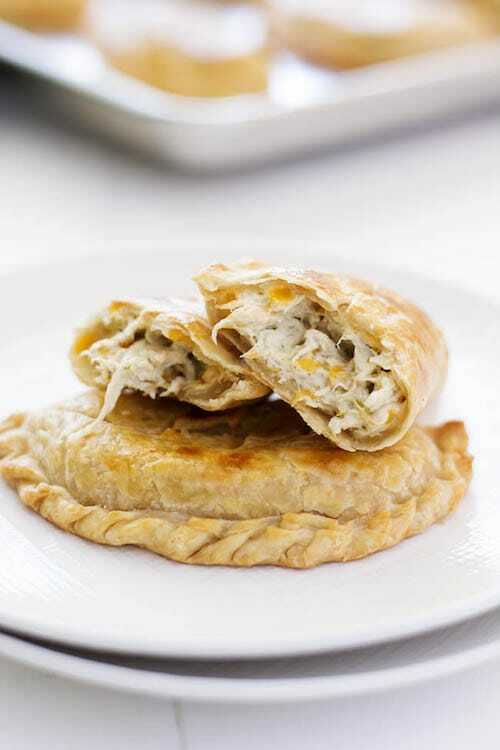 This simple recipe bundles a simplified green chile chicken enchilada filling into neat little hand pies. In this genius recipe, marinate leftover cooked chicken in a mixture of lime juice, fresh cilantro and store-bought salsa. 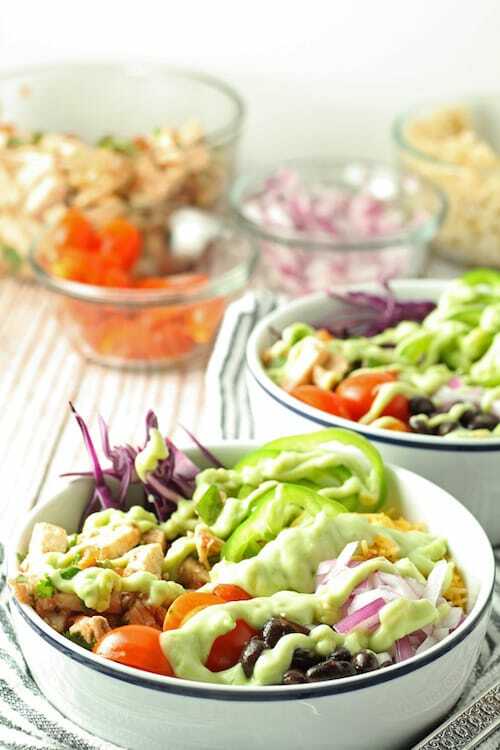 Then pile it into a veggie-loaded burrito bowl and top it with two-ingredient avocado cream. This chicken salad is anything but basic. Chipotle barbecue sauce, sour cream, veggies and cheese pack tons of spicy flavor. 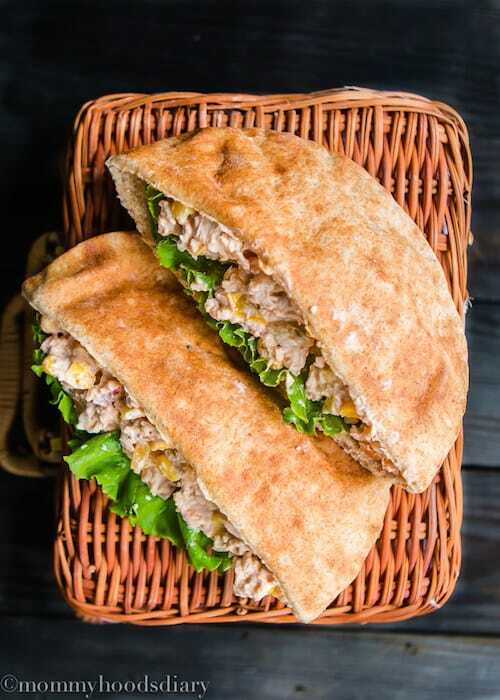 Load it into a pita and add sliced avocado for an extra boost of healthy fats. If you’re eating on a budget, ramen is practically its own food group. 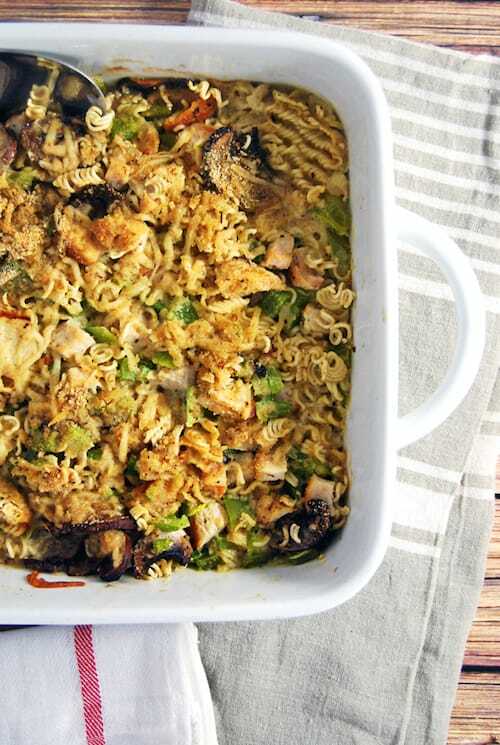 In this recipe, combine the noodles (minus the sodium-loaded flavor packets) with chopped cooked chicken, veggies and cheese, and bake the results into a hearty, one-dish meal casserole. This is not only a one-bowl meal, the bowl itself is edible. 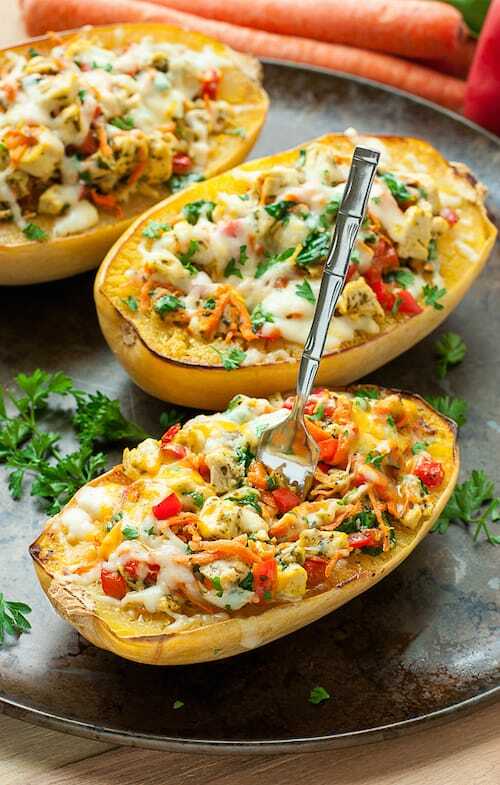 Leftover cooked chicken and store-bought pesto make this recipe a breeze, and you can also roast the spaghetti squash a few days ahead to get a jump start on a weeknight dinner. Spiralizer? $30. Stuffing yourself with “pasta” and never feeling guilty about it again? Priceless. 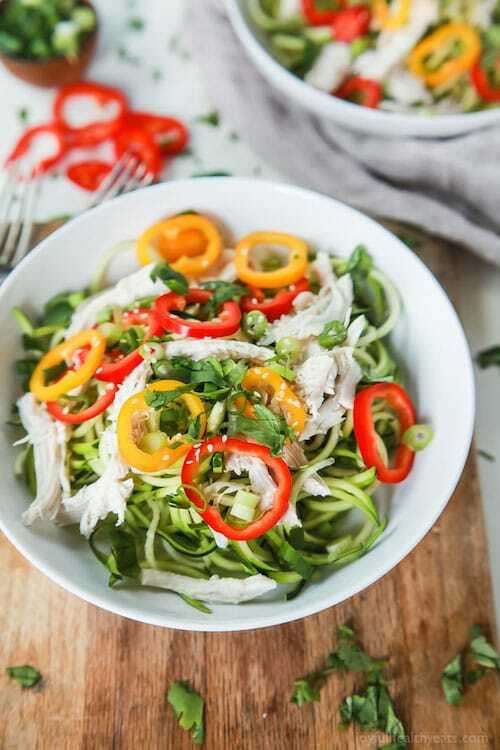 This light, refreshing salad is served over raw zucchini noodles instead of ho-hum lettuce. The bold, spicy flavors (think chili paste, fresh cilantro and sesame oil) are perfect for warm weather. Think of this dish as a chef salad — taco-ified. 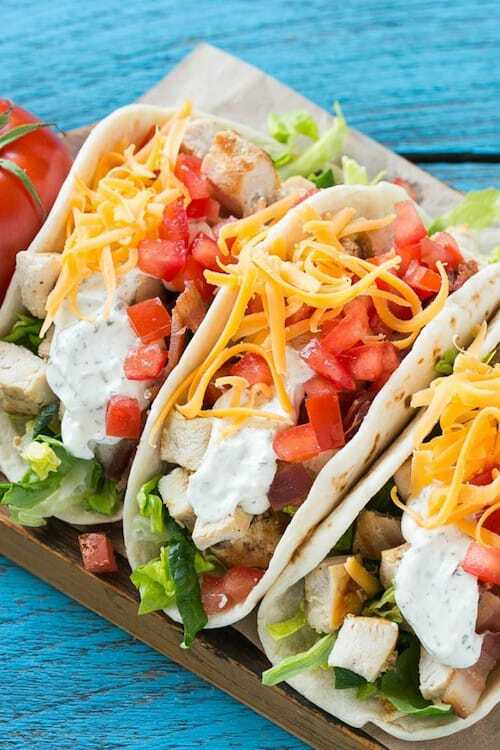 Take cooked cubed chicken, crumbled bacon, tomatoes, lettuce and cheese, drizzle it with creamy ranch dressing and stuff it inside a warm flour tortilla. Trust us, your kids will eat it. This healthy, homemade fried rice is a great way to clean out your fridge without cleaning out your wallet. 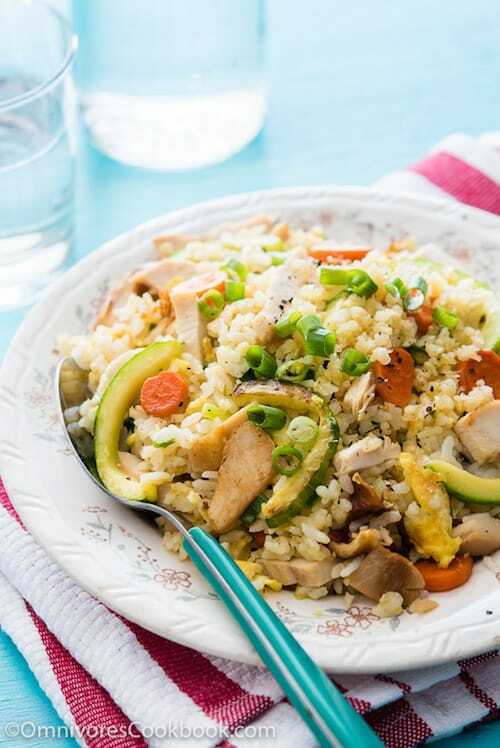 Stir-fry leftover chicken and rice with whatever fresh veggies are languishing in your vegetable drawer, eggs and plenty of green onions. Just drizzle with soy sauce and dig in. Your Turn: Do you know any good recipes to add to this list?